As no sensible person would make a long road trip without first consulting a map, so the person intent upon gaining Heaven should first resort to a competent guide to reach that Goal of all goals. 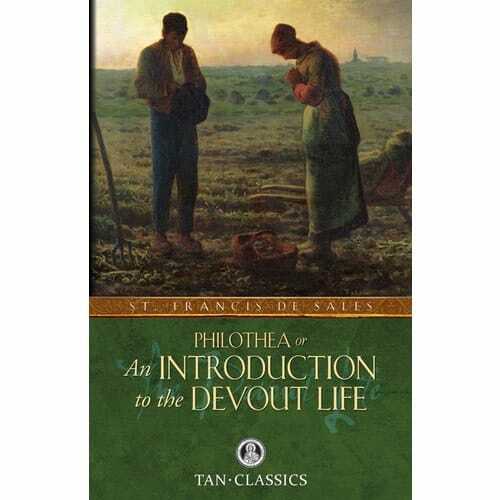 And no better guide to heaven exists than An Introduction to the Devout Life by St. Francis de Sales (1567-1622), Doctor of the Church. Addressed as a personal letter to Philothea, the lover of God which genuinely represents the reader the book covers: our first desire to lead a devout life to our full resolution to do so, how we should approach God in prayer and the Sacraments, the practice of 16 important virtues, remedies against ordinary temptations, and becoming confirmed in our practice of devotion. St. Francis says, Devotion is spiritual agility and vivacity, by means of which charity works in us, or we in her, with love and readiness; and as charity leads us to obey and fulfill all God's Commandments, so devotion leads us to obey them with promptitude and diligence. It is easy reading and a good spiritual exercise for everybody. I like this book because I am trying to establish a prayer life. It has down to earth old fashioned ideas.